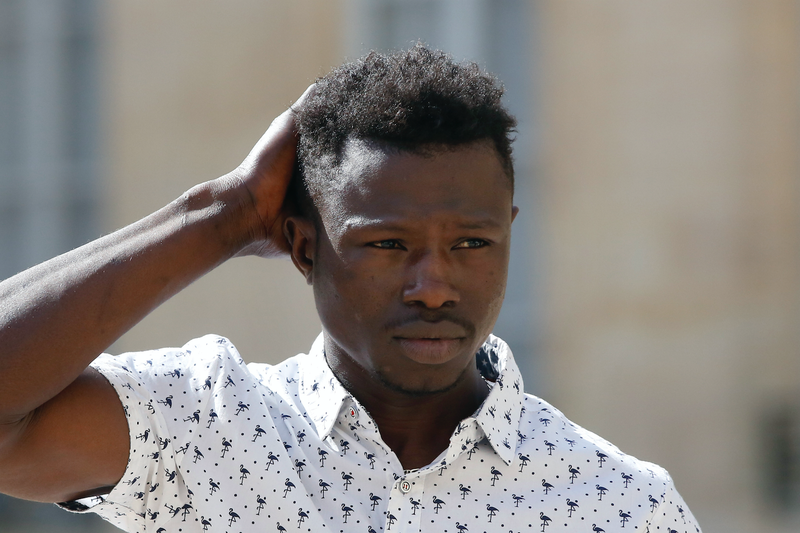 Hero Mamoudou Gassama, who rescued a dangling four-year-old from a balcony in Paris. A Malian immigrant heroically rescued a four-year-old Parisian child dangling from a balcony on Monday with Spider-Man-like nimbleness. Today, we got an answer to the million-dollar question, “Where were his parents?” According to authorities, the parent he lives with, his father, was out catching Pokémon. Over the last day, the video of rescuer-slash-IRL superhero Mamoudou Gassama swiftly scaling four stories to the child’s home went viral. In fact, French president Emmanuel Macron personally gave Gassama a gold medal and a certificate for his feat of bravery. “I didn’t think about it. I climbed up and God helped me,” said Gassama to Macron, according to CNN. In the meantime, the crying toddler’s dad had left his child alone to go out shopping. Apparently, what was keeping him out longer than expected was Pokemon Go, said Paris’ chief prosecutor: “The father left the apartment (to go) shopping and then decided to play Pokémon Go in the street which took a little time before he returned home.” The prosecutor added that the child’s father had left a window open, which allowed him to escape. After an investigation, the father was taken into custody for “failure to meet parental obligations.” He faces up to two years in prison.